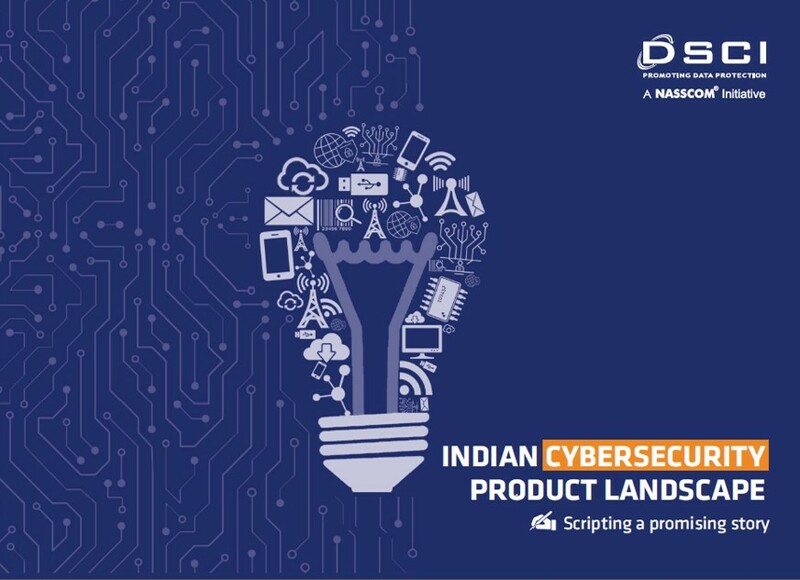 DSCI launched its report ‘Indian Cybersecurity Product Landscape – Scripting a promising story’ at AISS 2018. 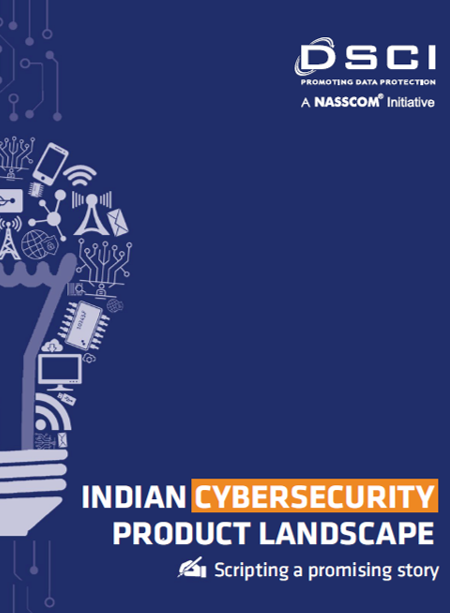 The report puts spotlight on the technological capabilities, go-to-market strategies, achievements, evolution and progress of Indian cybersecurity product companies. With a base of 175+ companies, the landscape has begun to create a promising story. 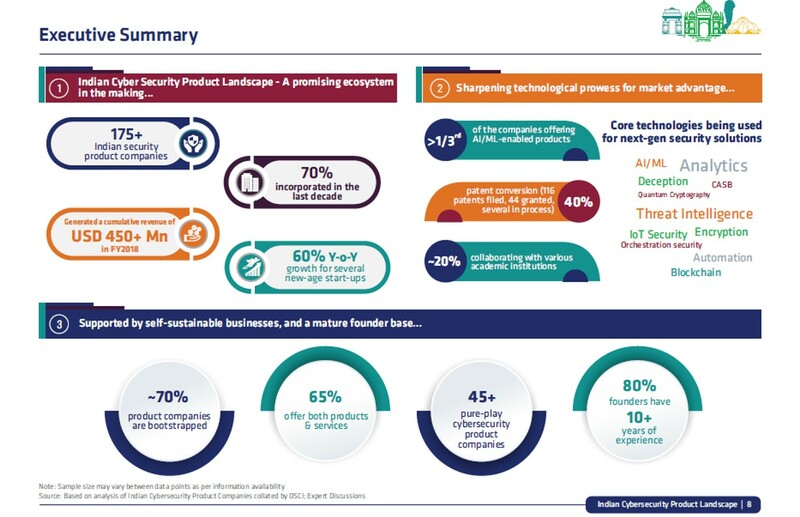 The landscape has a fine blend of pure-play cybersecurity product companies and those offering both products and services. It has both traditional solution providers and those focussing on new age technologies such as AI/ML, Automation, Big Data/Analytics, Encryption, Blockchain, Quantum Cryptography, Deception, to name a few. Another reassuring trend is that 33% of the companies have applied for patents, indicating the rising innovation quotient of the ecosystem. 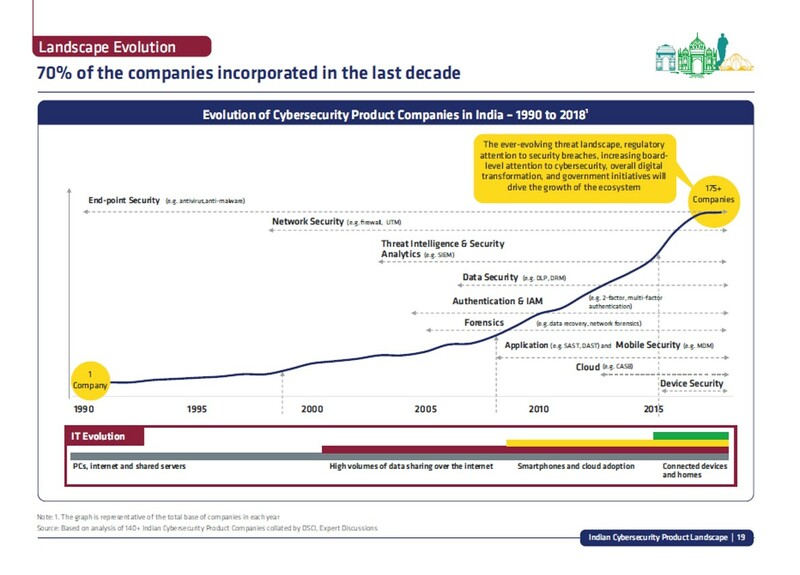 Some of the new-age cyber security product companies, incorporated in the last 5 years are growing more than 100% y-o-y, with diverse go-to-market strategies. 6 out of every 10 companies are driving a partnership strategy to foray across geographies. It is the steadfastness and the maturity of the founder base that the landscape is strongly moving forward, despite being mostly bootstrapped. The funding environment is also beginning to improve, with Technology Development Board, VC and Angel Investor community finally giving Cybersecurity its due attention. 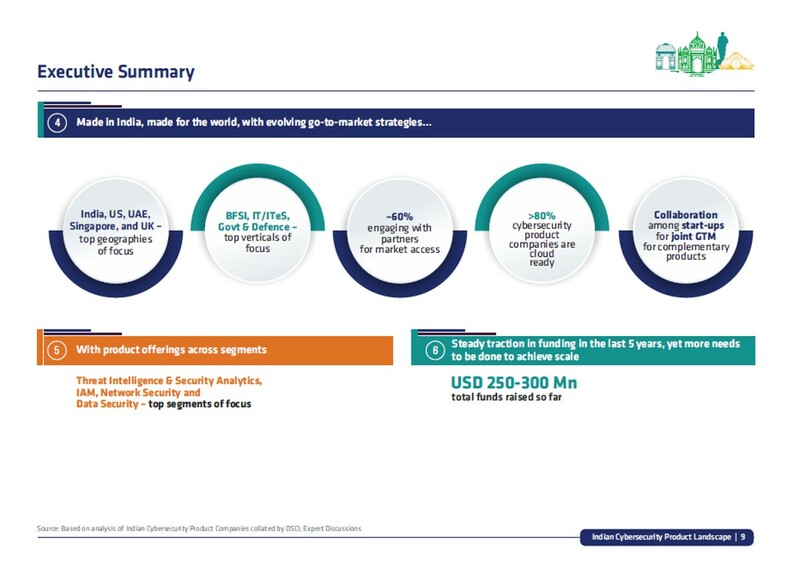 However, the ecosystem has a long way to go, to be able to significantly scale and get traction, and needs all the necessary support from the Government, Industry, Academia, Incubators/Accelerators, and the Investor Community, to be able to make India a Global Hub for security innovation and product development. The report attempts to cover the lengths and breadths of the ecosystem, offering a fine blend of data, insights, caselets, success stories, and can provide insights to various stakeholders in the ecosystem. We do hope the report will showcase the emerging but nascent security product ecosystem, and forge opportunities to renew collaboration and partnerships.